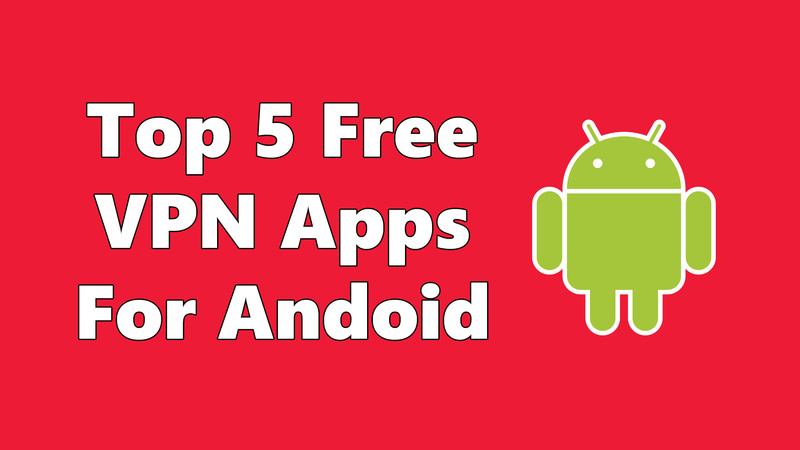 Top 5 Free VPN Apps for your Android Smartphone! Top 5 Free VPN Apps for Android! A Virtual Private Network commonly known as VPN is the one by which anyone can access and exchange data securely and anonymously over the Internet. A VPN can be used for multiple purposes including Browsing securely and hiding your browsing activity, accessing content not available in your country/region , bypass the Internet Censorship restrictions and a lot more. We have done a video explaining What is VPN, How a VPN works and it’s Pros and Cons. Do check the video linked below to know more about VPNs. VPN can be used on multiple devices starting from PC, Laptops and Smartphones. Since most of us are browsing and accessing the internet using our Smartphones these days let’s take a look at the Top 5 Free VPN Apps for Android. With over 10 Million downloads on the Google Play Store, Turbo VPN remains one of the most used VPNs for Android. The Free version of the Turbo VPN gives access to 8 server across the Globe including India, US and UK. You can just connect and enable the VPN and then you can use any app on your device using the VPN Server that’s been enabled. VPN Master is also one of the popular VPNs having more than 10 Million Downloads. It also provides 8 VPN Servers to choose from across the globe just like the Turbo VPN. Though there is a option to Upgrade to paid plan called VIP, the free one itself have enough features so that you can access almost every app using this VPN. Ultrasurf is a Free VPN app even though it’s in beta offers the VPN service that you might need. Only problem with the Ultrasurf VPN is that you can’t choose the VPN server that you need. Other than that it’s also a good one for your Android. Hola VPN is one of the most popular VPNs especially in India. Hola VPN offers a ton of International servers to choose from with their Free plan itself which is not present in most of the other VPNs. You can enter the Hola VPN app and then choose the app you want to use the VPN and the VPN server get connected automatically. VPNHub is one of the new VPN Apps but it’s gaining popularity. But the only downside of this app is under the free plan you can only get connected to the US Server and nothing else. Even though there is a ton of servers available the free version is restricted to the US Server alone. Apart from that it’s also a great VPN app to check. These are our pick for the Top 5 Free VPN Apps for android even though there is a ton of free VPN Apps available on the Play Store to choose from. If you are using any other free VPN App that works great, let us know that via the comments below. Hope the post was helpful for you in choosing a VPN App and we’ll be back with more App recommendations soon! ← Survival Game- Xiaomi’s Battle Royale Game like PUBG and Fortnite! Thank for ur good information bro…Mostly help for all people..
Pingback:Xiaomi Mi Air Purifier 2S Review - Best Budget Air Purifier! Pingback:Smartphones at the Price of Diwali Crackers - Just Grab it! could you please suggest one good VPN for windows laptop? My name is Aly and I would like to know if you would have any interest to have your website here at techsatire.com promoted as a resource on our blog alychidesign.com ? Se ocupa receta para comprar http://mdaane.com/images/blogImages/farmacia/vitanol.html venta libre. If you are searching for the best adult chat room, http://bookmarking.xyz/adult-chat.php would be the right selection. Very good article. I certainly appreciate this website.Keep it up! Howdy! I simply would like to give an enormous thumbs up for the good info you could have here on this post. I will probably be coming back to your blog for extra soon.